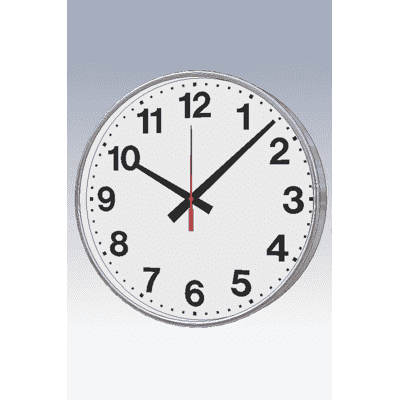 Style 529XX Clocks are available in standard sizes from 9″ to 24″. Clear glass crystal. 115V/60HZ synchronous movement. All brass gear train. Quartz battery movement optionally available on clocks through 16″ by specifying the suffice QB after the clock style number. Finishes, Hands, Dials see product specifications. Custom finishes available on request. WB8 Wall box required.